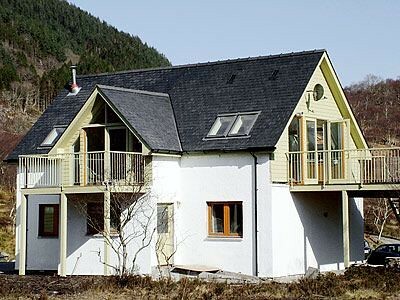 Situated close to the edge of Loch Leven, Carness West was built to take full advantage of the breathtaking mountain views, with first floor panoramic windows and doors leading to two spacious balconies. 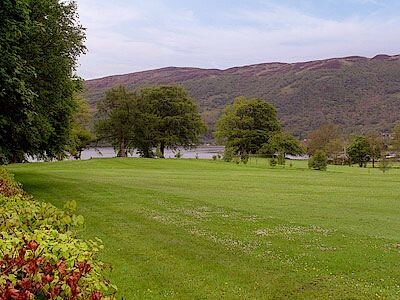 Despite its seclusion, the house is ideally located for all outdoor activities including hill walking, climbing, golf, horse riding, mountain biking, skiing, fishing and kayaking. 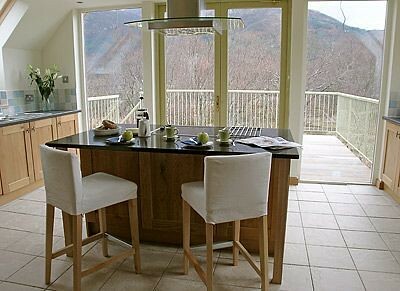 There is an abundance of wildlife to be seen in this stunning location. Locally there are craft shops, tea rooms and a visitor centre. Shop 3 miles, pub ½ mile. 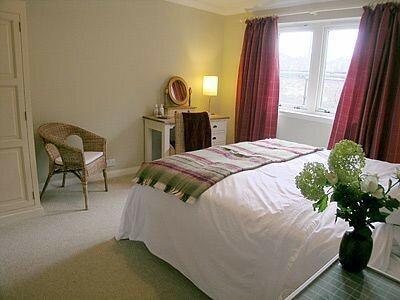 Two double bedrooms, each with 5ft bed; one with en-suite shower room and toilet. 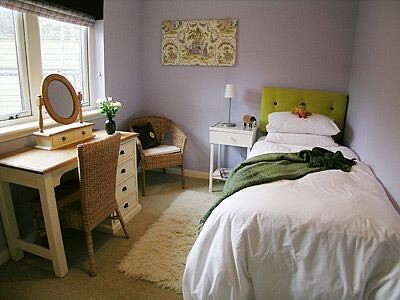 Single bedroom. Bathroom with over-bath shower and toilet. Laundry room. 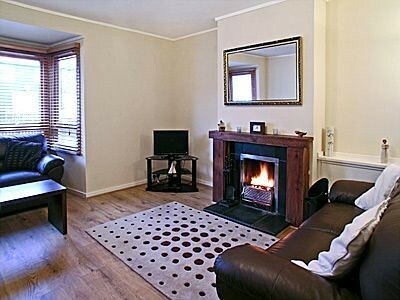 First floor: Large living/dining room with wood-burning stove and oak floor. 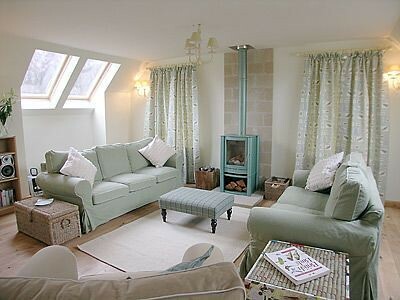 TV snug with French doors to balcony. 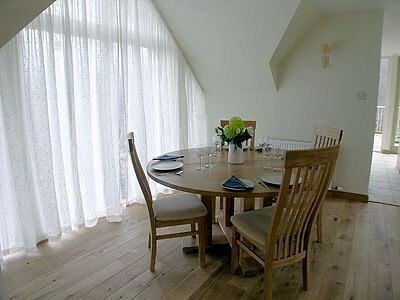 Spacious, well-equipped kitchen with cooking island and French doors to large balcony with table and benches. 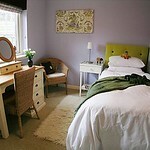 1st comment: Beautiful accommodation - spacious. 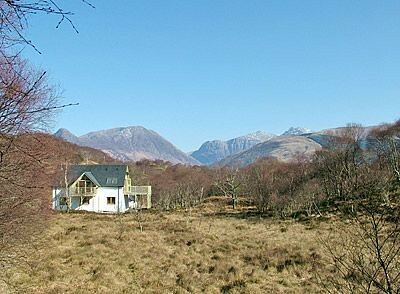 In a very scenic location overlooking hills of Ballachullish and Glencoe. Oct 2011. 2nd comment: Had everything we needed and more. 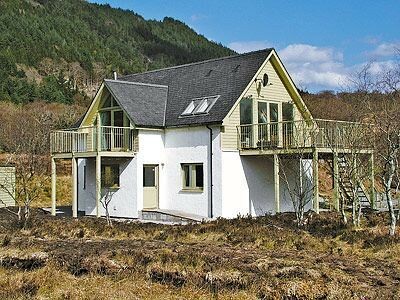 Just as described, easy to find, spacious, fantastic views, peaceful, secluded yet close to local amenities. May 2011. 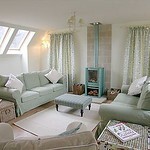 3rd comment: Wood burner made cottage very comfortable on cold January evenings. Jan 2011. 4th comment: Stunning house with wonderful views, and although in own grounds etc not to far to travel for meals out and plenty to do in and around the area. Nov 2010. 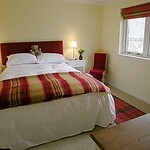 5th comment: Cleanest accommodation ever had, very well equipped, would rebook. Sept 2010. 6th comment: Spacious, warm decoration. Aug 2010. 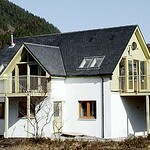 7th comment: Fantastic house in a lovely location. April 2010. 8th comment: Very clean house and well equipped kitchen. Lots of space. Beautiful setting. Jan 2010. 9th comment: Property design was innovative, lots of natural light, spacious, wonderful views, good heating - warm, good facilities. Jan 2010. 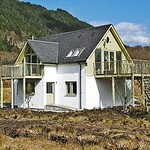 10th comment: Excellent location, local shops, great access to lochs, glens and mountains. Many forest walks locally. Nov 2009. 11th Comment Very well equipped and being new everything was clean. Nov 2009. 12th Comment This is a wonderful property, which is in a wonderful location, and a superb choice for families. 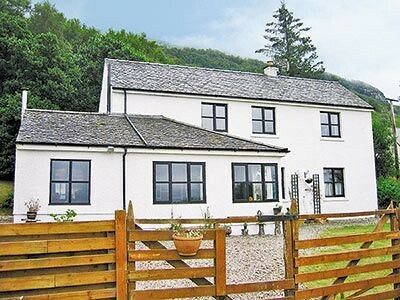 The property was not lacking in anything, and contained everything you could possibly need for a great holiday, well furnished and equipped, there was even games and puzzles to keep the children amused on the wet evenings! Oct 2009. 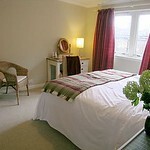 13th Comment Carness West is a beautiful property - excellent location and furnished & maintained to a very high standard. 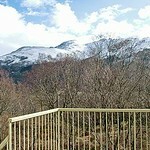 It’s a property which we have already stayed in twice this year, and one which we have booked again early in the new year. Oct 2009. 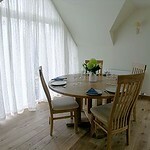 14th Comment This was by far the best property I have ever stayed at with your company - well worthy of its 5* rating. Can’t really fault anything about this property - it’s spacious, well laid out, furnished to a very high standard, and in an absolutely wonderful setting. Have already booked to go back later this year. April 2009. 15th Comment The house is lovely, modern with excellent facilities of a very high standard.The living area being on the first floor, with the two outside areas, takes real advantage of the location. March 2009. 16th Comment Excellent property. 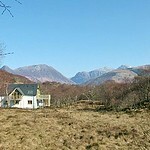 stunning views and a great weeks holiday, a wonderful place to stay. June 2009. 17th Comment The whole time was first class - scenery, accommodation etc. etc. all mod cons, and very clean. July 2009. 18th Comment The nicest house we’ve stayed in. The house, furnishings, cleanliness, views, etc. all wonderful. Have already recommended to family and friends. July 2008. 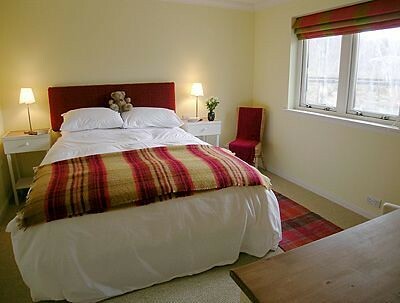 19th Comment The accommodation was absolutely superb & exceeded our expectations. 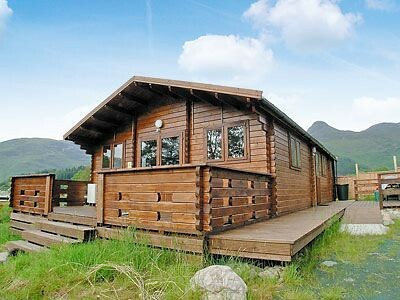 Almost completely secluded & set in a spectacular & beautiful scenery, it was a haven of rest & relaxation. 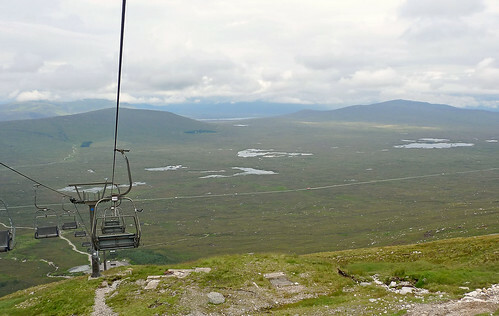 All the activities you might expect in the Highlands are within relatively easy reach. Aug 2008. 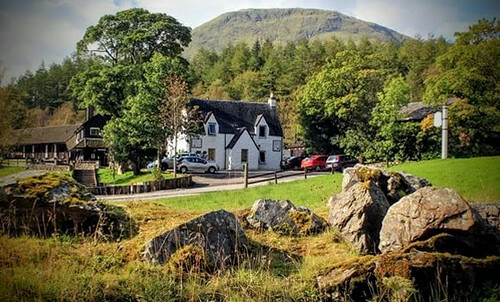 Very friendly inn with accommodation on the road at the north end of Glencoe. Food and ales available all year and best place in the area for refreshment. Award winning. 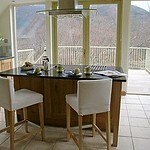 Overlooks Aonach Moor. 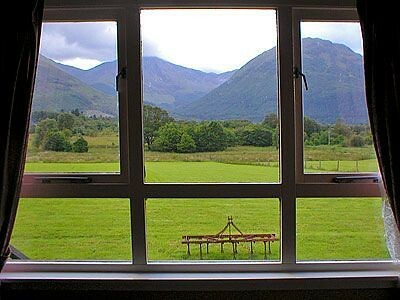 Situated in an area of outstanding natural beauty with stunning views of the iconic Buchaille Etive Mhor. Offers mountain biking, archery, orienteering, hill-walking, climbing, chairlift rides, photography, trail building, guided walks and home cooked food in the log cabin cafe, skiing, snowboarding, sledging and avalanche rescue training are available. 19 runs across 7 lifts catering for skiers and boarders of all levels, including the longest and steepest runs in Scotland. 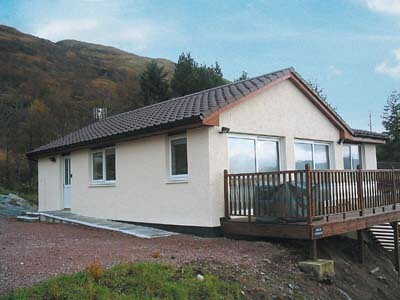 Modern detached bungalow in the village of Glencoe near to Ballachulish in the Scottish Highlands. Sleeps eight people in four bedrooms. 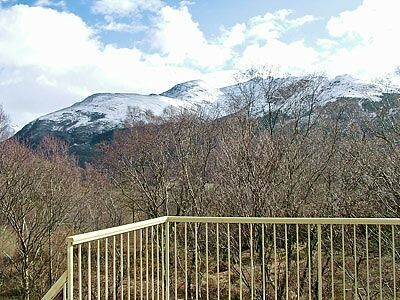 Situated in the small village of Kinlochleven on the ‘West Highland Way’ this terraced holiday property is in a fabulous area for climbing, skiing, mountain biking and walking.